The children argue, make messes or spend all their time with friends instead of family. You’re busy breaking up fights and doing extra housework. Whatever happened to enjoying a memorable, stress-free holiday together? These next couple weeks may be a vacation for your kids, but for you, it feels like a second job. Don’t panic! We’ll show you how to get through it with your sanity intact. Tension levels can rise dramatically during the holidays. Your kids might not have school for a few weeks, but you likely still have work and other responsibilities. This creates a conflict of priorities that can upset the balance of your home. When this happens year after year, it creates a pattern. 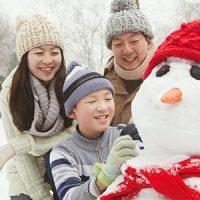 It’s common for parents to interpret these patterns by forming expectations – you get so used to coming home to an argument or a messy house, you start to expect it. You may feel “on edge” and experience anxiety, frustration or anger. When you’re in such an emotional state, you’re more likely to react to your child – or anyone, for that matter! To be a calm parent, it helps to look at the big picture. Step back and view your family patterns. Widen your lenses and stay objective. If you feel like you know what’s going to happen when you get home, then great! You can use this awareness to your advantage by forming a plan ahead of time. If you know you’re coming home to messy house or an argument, take some time to prepare your response. We recommend trying the STOP Plan from Debbie Pincus. This simple, four-step technique will get you down from 100 to zero in no time – it’s one of my favorites! Debbie writes about how to use the STOP Plan in her article, Expecting a Fight with Your Child? (You’ll Get One). It also helps to repeat phrases like, “This too shall pass,” or “This is how my child is dealing with his own anxiety; I don’t need to get sucked into it.” Pause and take a deep breath – it’s in that space that you have control. You have the power to decide how to react. If you need help, you can count on us! 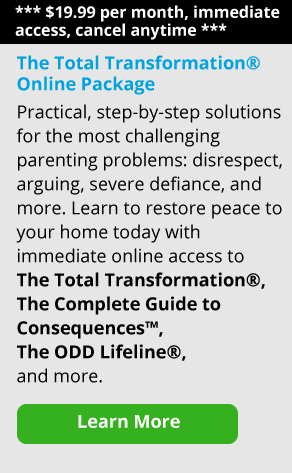 We’re here to help you become a calmer parent.